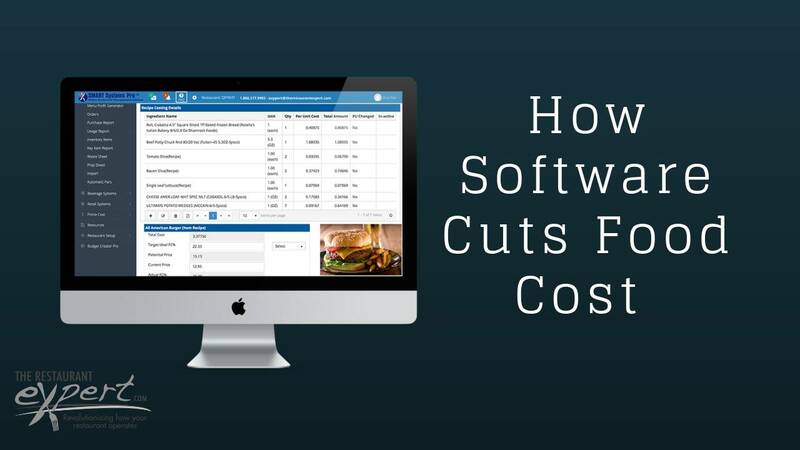 What can restaurant industry software do to help you reduce your food cost? I used to be a spreadsheet geek, and I think that’s what made creating a specialized restaurant industry software for independent operators so much fun – there’s no need to be a spreadsheet geek! Now you can use software to document and automate your restaurant systems. This puts controls in place that allow you to make adjustments to save money and it saves you time so you can focus on other ways to save in the restaurant. Spreadsheets are a great step into systems. But once you get going with them and your team is running systems in the restaurant, spreadsheets are too cumbersome to keep up with. They become out of date quickly and take too much time to update. And this is coming from a spreadsheet geek. I loved making spreadsheets and really mastered the formulas. But as soon as prices changed on inventories, everything was wrong. And as much as I was a spreadsheet geek, I didn’t have hours upon hours to manually update spreadsheets. That is when I decided software was the answer. Recipe costing cards and menu engineering – easily document the processes and procedures and amounts an product, but also know the cost of each recipe. This information is used in the menu mix to find out your ideal food cost is or re-engineer your menu to reduce your food cost 3-7 points the first time. Software helps you with budgeting. Don’t give your checkbook over to your managers to throw money at a problem, instead make them stop and find the problem. Software provides this path. If you know your order history and you’ve projected your sales, you can use automatic par levels to tell you exactly how many cases of French fries you need to order to make sure you’re on budget and never run out. This means anyone can place an order, and you’re not dependent on the one person who has been doing it the last couple of years. Shelf-to-sheet inventory – order your shelves with how you want your inventory counted. This way you have inventory every week in under an hour – not three to four hours like on a spreadsheet. And there isn’t an issue with the volume miscounts. 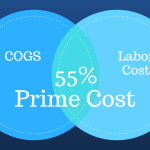 Accurate inventories mean immediate cost of goods sold. Key item reports and waste sheets ensure you reduce and prevent theft. Find a problem today and fix it today. All of these culminate in what your food cost is, what your budgeted is and what your actual is. 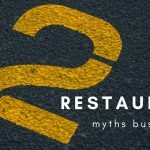 This information – easily made available through restaurant industry software – allows you to make proactive changes in your business. If you would like to learn more about restaurant industry software and how it can help you in your restaurant, read our free special report, Breaking Away from the Insanity: How to easily take control of your restaurant and make more money. Download it here. Be sure to visit our YouTube channel for more helpful restaurant management video tips.